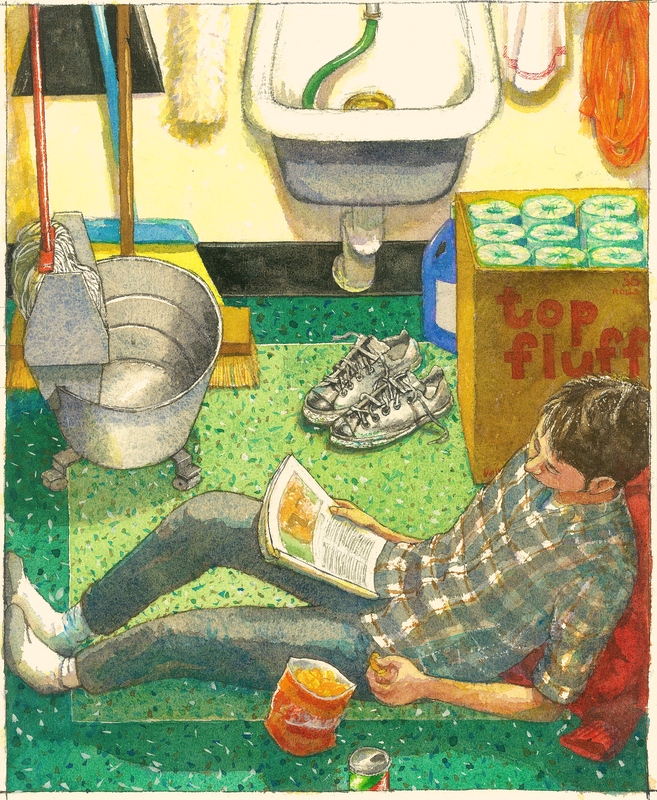 I was looking at Facebook, the water-cooler for the solitarily self-employed. Under a friend’s post a thread was forming. The conversation was about people my friend and his friends had known when they were in art school a long, long time ago. One of my favorite parts of conversations is when people sum up someone’s whole life in one sentence, and then move on to the next topic. It leaves so much room for imagining. Right away, I wanted to make a drawing of my idea of N_____. 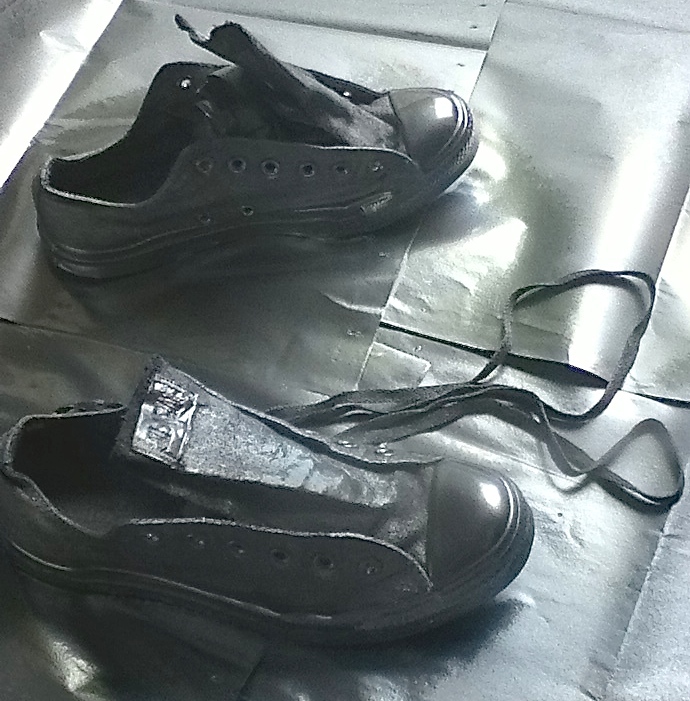 I spray-painted an old pair of Converse All-Stars so I could see what they looked like. I think they will be very good for parties. While I was painting the picture, a line from the Simon and Garfunkel song, Save the Life of My Child, popped into my head. The line, from the end of the song, is “Oh my grace, I got no hiding place . . . ” This guy, I thought, does have a hiding place. Was he hiding, though? If so, what from? Maybe you are looking at my picture and thinking thoughts like, Wouldn’t he have more stuff in there? Or, I wonder how he wakes himself up early enough so that nobody finds him sleeping. Or, At least there’s a sink. Hey, look — you’ve started making up a story. What’s the second sentence?